Mattie’s birthday was June 30th and our Anniversary is July 21st. We don’t usually do gifts but I wanted to get him something special this year just because. 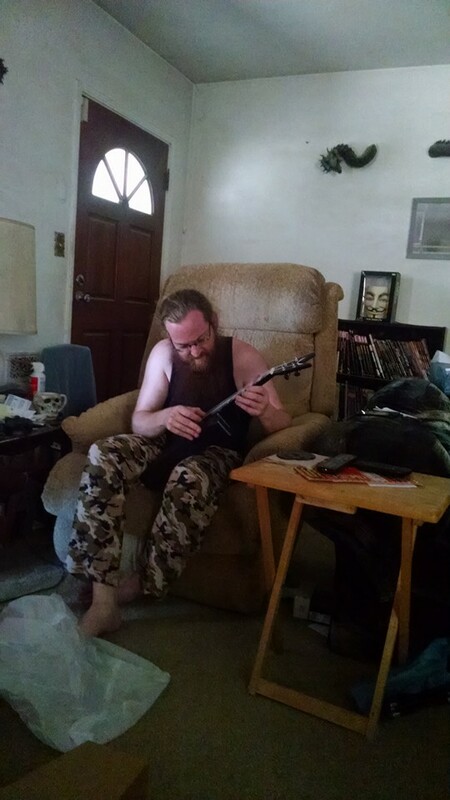 I ordered him a Dean Dime ukulele that I had seen him ogle and talk about several times. 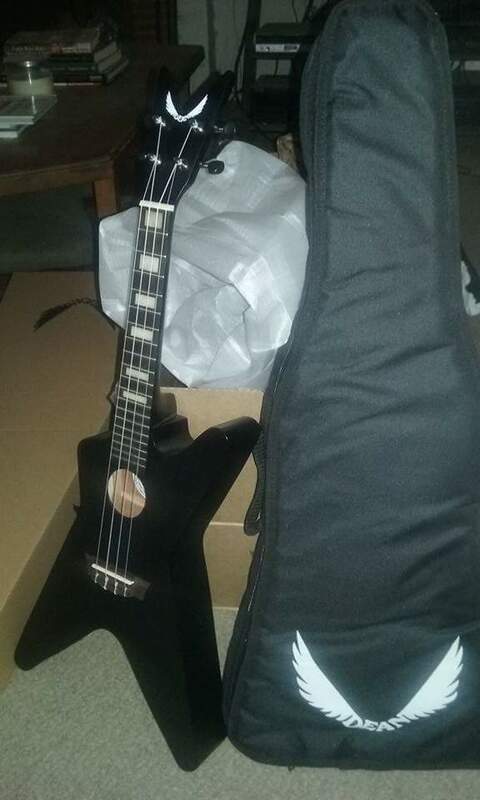 It finally got here on Friday, and I drove over to Guitar Center (not my favorite retailer but coupons!) to pick it up. 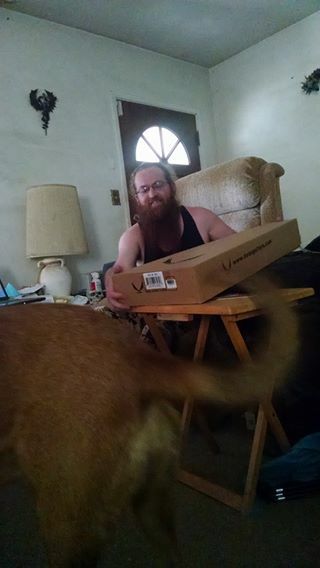 I wrapped the box, but as soon as he saw the wings logo on the inner box, he knew. Mattie’s a guitar guy, but this uke really grabbed his attention. I was still worried he might not like it (because its not a guitar) but he loved it! Its pretty cool looking, though not my style, and I rather like the simplistic details that really make it shine- the inlays on the fret board are a nice touch. Anyway, I don’t think I can get him to join the ukulele club, but I’m glad he loves it! And hey! I got something for myself too! 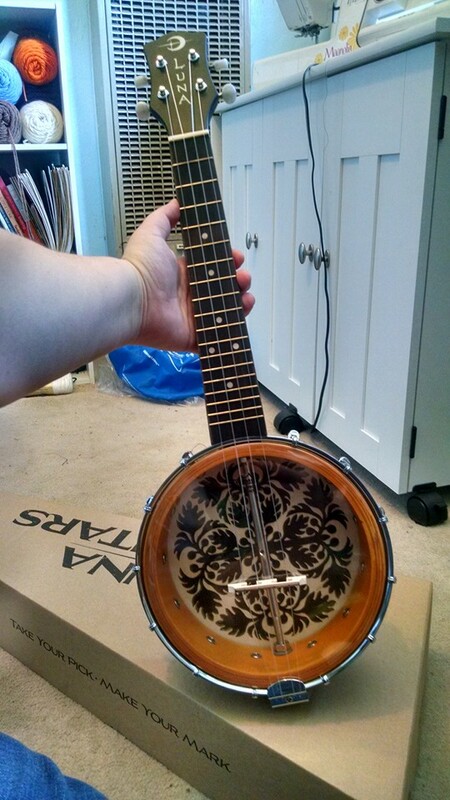 A Luna banjolele. Mattie had some fun playing around with it too and was kinda intrigued by the sound. I haven’t tried it much yet but so far I like it. And its rather pretty too.